Whether we like it or not, winter is here and when a storm hits, it can wreak havoc and chaos on city streets and highways. There’s always a risk you could end up with a dead battery, a flat tire or even run out of gas and when you drive during a snowstorm but there are also more risks for you to be involved in a serious collision, so it’s important to always remember that safety is the top priority when you’re behind the wheel. It’s always best to avoid unnecessary travel, but if you have to head out in the snow and ice, make sure you’re prepared for rough driving. Here are some tips for remaining safe. Be prepared: Have an emergency kit in your car that includes a bag sand (or other abrasive material to get traction on ice), a shovel, flashlight (and extra batteries), gloves, boots, ice scraper, snow brush, jumper cables, blanket, warning flares/pylons, food, water, first-aid items, extra windshield-washer fluid/antifreeze and a piece of reflective clothing. Check the weather and road conditions: Check the weather forecast to make sure you know what to expect and choose the route you’ll take before you hit the road. Take your cell: Charge your mobile phone and bring a charger with you. Drive slowly: Accelerate and stop slowly to avoid skids. Leave space: Increase the distance between you and the vehicle in front of you. The extra space is important when stopping, especially if the roads are slippery. Easy on the brakes: Brake early by applying firm, steady pressure on the pedal. If you can roll slowly until a traffic light changes, do it. It’s much easier to get moving while rolling than from a full stop. Be careful on hills: Don’t power up hills — your wheels may begin to spin. Instead, get momentum before you reach the hill, and slow down when you reach the top. Clear your car: If clearing the snow and ice is too difficult for you, ask for help. And remember to clear the roof of your vehicle as well! Be cautious: Just because the storm is over, doesn’t mean the roads aren’t slippery. Black ice can be difficult to see as well. 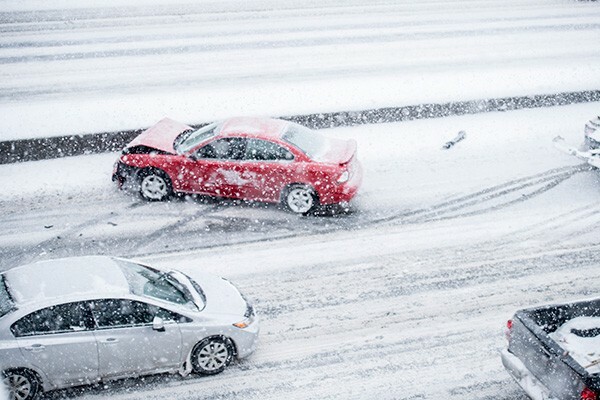 If you have concerns about winter driving and how your car insurance will hold up to the snowy roads and turbulent weather, work with committed insurance professionals for a consultation. The brokers at Petley-Hare can provide an overview of your existing policy or work with you to find a new option that covers everything you need for protected driving. Get the proper car insurance you need with a dedicated team of insurance brokers in Durham. Call the team at Petley-Hare at 1-800-216-5324 or Request a Free, no obligation Car Insurance Quote Online.